April is notorious for rainy days... I mean, it's got its own euphamism and everything! Normally on rainy days, I'm all about the bright, glittery, bold, and sparkly. But today... 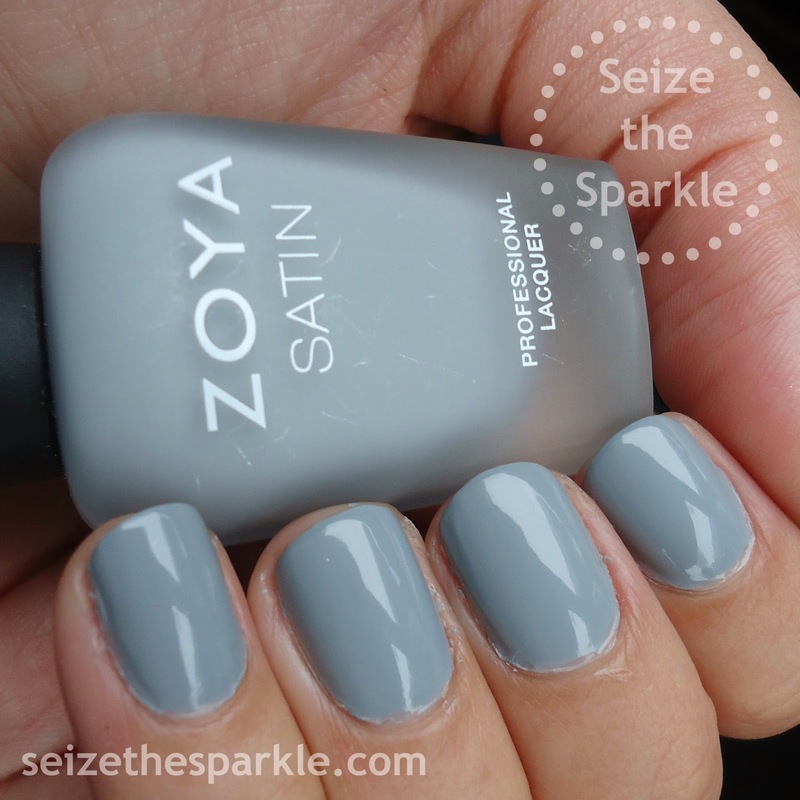 I'm getting cozy with Zoya Tove. 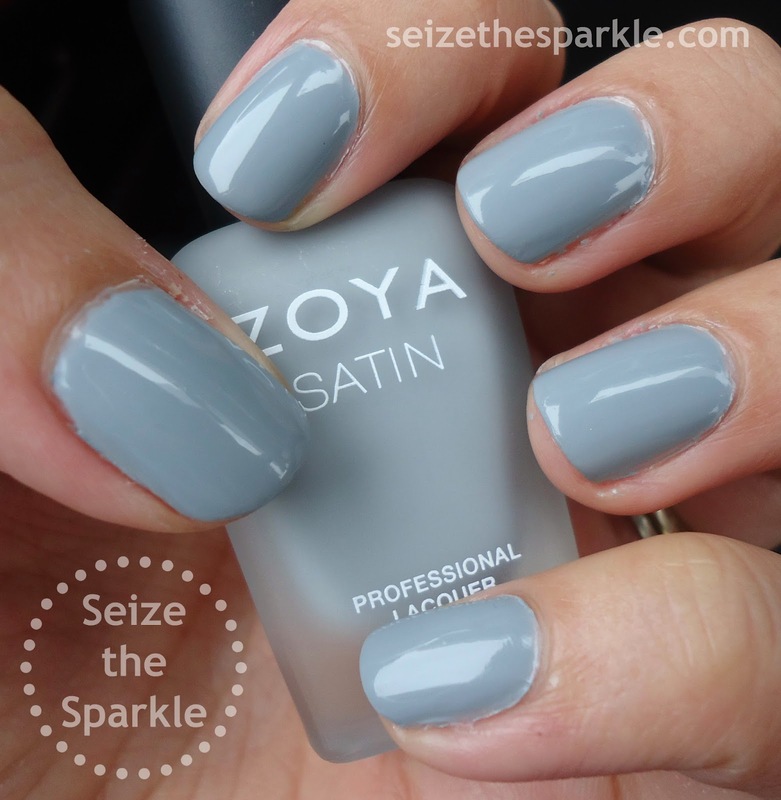 Tove is part of Zoya's Satin finish collection that debuted earlier this year. It's described as a "misty slate grey cream in the exclusive Satin finish." Maybe one day I'll more readily wear matte polishes and finishes like this one. Perhaps. Right now, I'm more than content to slap on enough top coat and make Tove shine, Shine, SHINE! Ahem. Aaaaaanyway. Application was a little different with Tove than what I'm used to. 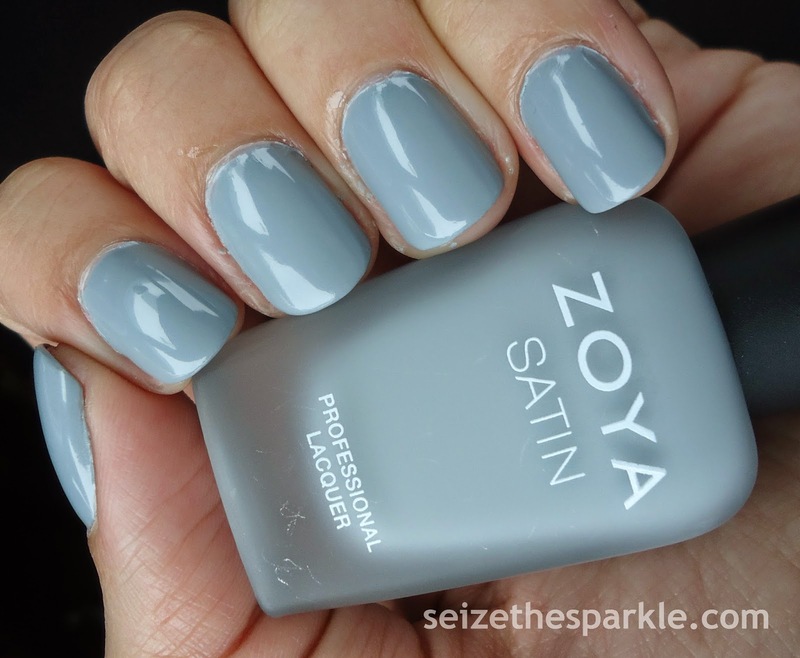 But that's all because the Satin formula is a little thicker than your average Zoya polish. I'm guessing there's also something in there to aid in dry time, since adding a coat of quick-dry anything would make Tove all kinds of glossy and shiny.